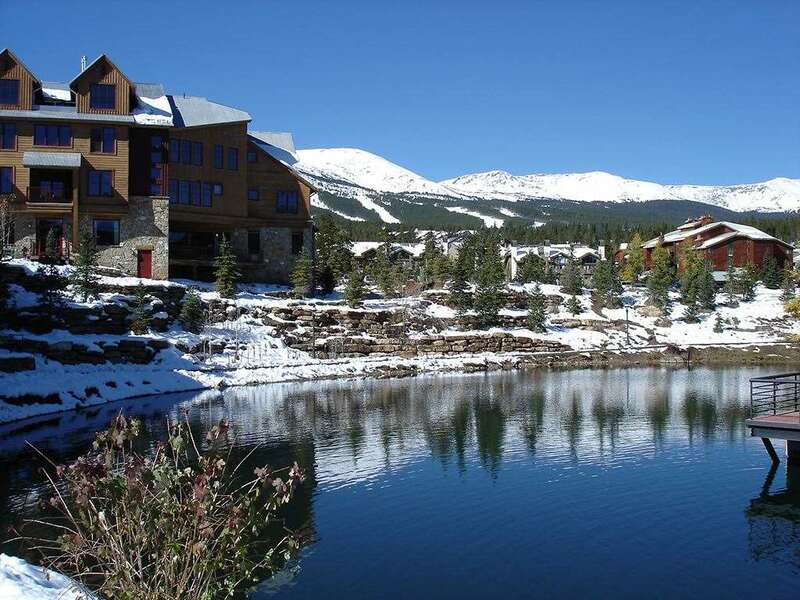 The River Mountain Lodge provides excellent value and a convenient location close to the shops, bars and restaurants of central Breckenridge. You can ski back at the end of the day and take the ski shuttle or walk 5 minutes to the lift in the morning. Guests will enjoy a choice of restaurants, bar and lounge, outdoor pool, sauna, steam room, hot tubs, ski service centre and storage. Rooms have bathroom with private bath, shower and WC, mini-fridge, coffee maker & TV. Hotel rooms - sleep 2-4: With two double beds. Single rooms are available on request. One bedroom condos - sleep 2-4: Living area with gas or wood burning fireplace, double sofa bed, dining area and full kitchen, washer/dryer and balcony. Separate double bedroom.